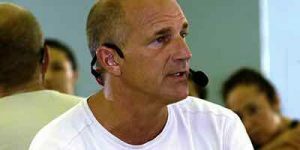 The Barkan Method Hot Yoga Boca Raton opened it’s doors in 2012. Boca Location Boca Schedule However, Jimmy Barkan, the founder of The Barkan Method first opened in South Florida/Ft. Lauderdale in 1983! Back then it was called Yoga College of India, one of the first Bikram Yoga schools in the world. Barkan was Bikram Yoga’s most senior teacher! 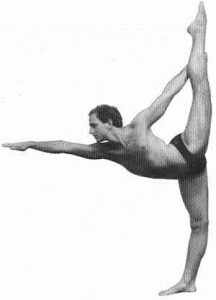 Barkan and Bikram parted ways in 2002 and Jimmy went on to create his own style of Yoga called The Barkan Method! Still based on the same style of Hot Yoga from an ancient lineage in the state of Bengal in eastern India. Hot Yoga comes from the eastern part of India, the state of Bengal, specifically the city of Calcutta, where it is 110 degrees in the summer with 100 per cent humidity. 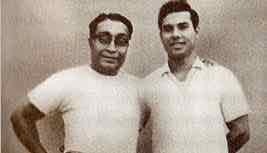 Bishnu Ghosh, founder of Ghosh’s College of Physical Education in Calcutta, India and younger brother of Paramahansa Yogananda, was the man primarily responsible for developing this style of Hatha Yoga. Ghosh’s student, Bikram Choudhury, brought this style of Yoga to the United States in the 70’s. Bikram created a series of 26 postures derived from hundreds of postures from this lineage. The term Bikram Yoga is merely defined by this sequence of these 26 postures. The postures that Bikram has chosen, for example, Standing Head to Knee pose or Standing Bow pose are not synonymous with Bikram Yoga. These postures have been around for thousands of years. Jimmy Barkan’s approach to Hot Yoga is called The Barkan Method. Postures practiced in The Barkan Method maintain a basic format offering structure and continuity. However, various sections of the class change from day to day according to the area of the body the teacher chooses to target. For example, one day during the floor section of the class we may feature backbends, another day hip openers, and another day leg stretches. Barkan has found effective tools for balancing the body and creating a greater range of motion can come from incorporating postures from other lineages of Yoga. Barkan encourages his instructors to teach from their hearts, finding their authentic self when giving directions to students in class.